Episiotomy is one of the most common midwifery interventions method for preventing injuries to the pelvic floor during the delivery process. Traditional medicine has a special place in improving the quality of postpartum care. Sesame is one of the herbs with anti-inflammatory, anti-bacterial and antioxidant activity. This study was evaluate the effect of sesame ointment on episiotomy healing. Methods: This randomized control clinical trial was performed on 104 eligible women. The samples were block randomly assigned to one of the groups Intervention and control. Samples were used sesame and placebo ointment for epizootics from 4 hours after delivery for ten days every 8 hours. Clinical evaluation of episiotomy ulcer was performed 4 hours, 7 and 10 days after delivery with using REEDA tool. SPSS software version 16 was used for data analysis. P value less than 0.05 was considered significant. Results: The average of wound healing rate was 7 days after episiotomy in the intervention group 0.09 ± 0.29 and in the control group was 0.73 ± 0.44. Independent t-test showed that the two groups had a significant difference (p <0.001).Healing of the wound 10 days after episiotomy showed that the mean scores in the control group (0.4 ± 0.49) and in the intervention group (0.02 ± 0.13), healing in the intervention group significantly decreased from the control group (p <0.001). Conclusion: Sesame ointment can be used as a pain relief and accelerator for episiotomy healing. Sesame oil is widely consumed as nutritious food, cooking oil, and in pharmaceuticals and food. In this study, the antinociceptive and anti-inflammatory properties of the sesame oil and sesamin were investigated. The sesame oil and sesamin reduced the number of abdominal contortions at the doses 100, 200, or 400 mg/kg. The first and second phases of the time paw licking were inhibited by sesame oil and sesamin (100, 200, or 400 mg/kg). After 90 min of treatment, sesame oil and sesamin increased the reaction time on a hot plate (200 or 400 mg/kg). Considering the tail-immersion assay, the sesame oil and sesamin produced significant effect after 60 min at the doses of 100, 200, or 400 mg/kg. After 4 h of application of the carrageenan, the sesame oil and sesamin were effective against the paw edema. 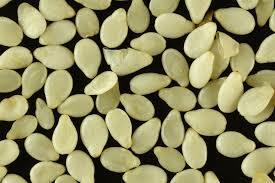 The exudate volume and leucocyte migration were also reduced by sesame oil and sesamin. These results suggest that sesamin is one of the active compounds found in sesame oil and justify the antinociceptive and anti-inflammatory properties of this product.